Data is extremely valuable in evaluating affiliate campaigns. It also helps evaluate affiliate performance and allows affiliate managers to make strategic decisions for their future affiliate marketing campaigns. Many brands that run affiliate programs do not segment or categorize their affiliates, thus missing out on opportunities to manage their affiliate program in more efficient ways. 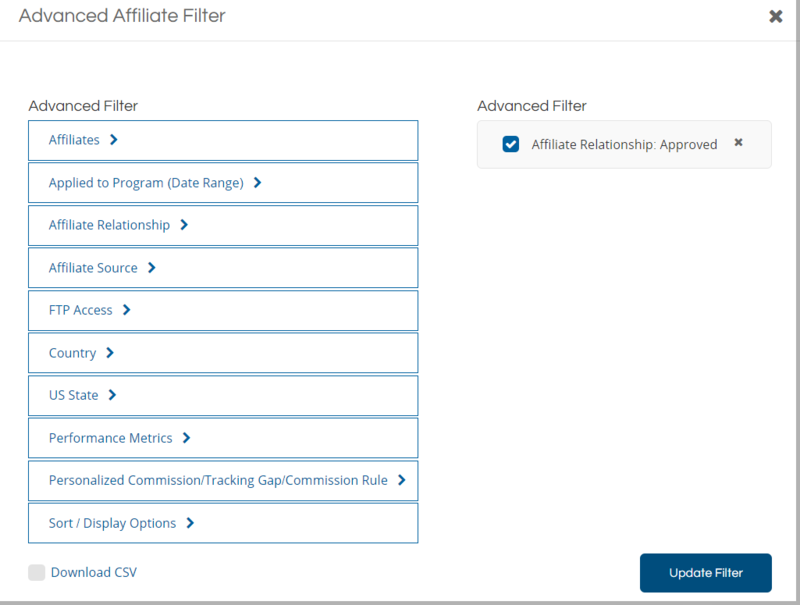 Filtering and sorting affiliates should be a task that every affiliate manager engages in. In this post, I will outline how to filter and sort affiliates in the ShareASale affiliate network. ShareASale offers three (3) predefined filters to use, but to get more detailed and drill down further – the “Advanced Filters and Sorting” option is the way to go. The advanced filters and sorting will be discussed in detail in the next step. There are numerous ways to filter affiliates, so how do you know what to do? It depends on the what you are looking to do. For example, filtering affiliates that joined the program in the past 30 days. Click “Applied to Program (Date Range) Enter Start Date and End Date and “Click Update Filter“. A list of all affiliates joined in the past 30 days will be shown. From there, affiliates can be placed in groups and/or assigned tags for future campaigns. One of the most common affiliate filtering/sorting options is by “Performance Metrics”. Affiliates can be filtered by sales generated, EPC (or earnings per 100 clicks referred), click volume, commissions earned, etc. Filtering by “Performance Metrics” allows greater flexibility in managing affiliates and does not cast a “one-size-fits-all” approach to managing them. ShareASale makes managing affiliate programs less stressful. Their easy-to-use interface allows program managers to be more efficient with their time. Many affiliate managers are multi-taskers and time is money. Growing an affiliate program requires constant data analysis and having a simple(r) approach to gathering the data is critical. So, make sure you take full advantage of the ShareASale tools at your disposal.